Although Citizenship is a statutory subject at Key Stages 3 and 4 it is not obligatory at primary level. Citizenship teaches social and moral responsibility, community involvement and political literacy. Citizenship enables pupils to take action on issues of concern through school and community-based activities and play an active part as members of communities and society. Part of this is getting involved in charities and fundraising. If Citizenship is being taught to your child at primary level then they will be learning about the role of voluntary organisations and charities and they will most likely be involved in some fund raising activities. They will start to learn what is meant by ‘charity’, what charities do with the money we give them and how to decide which charities to support. As your child moves on to Key Stage 3 and Key Stage 4 they will be involved in researching and making presentations on specific charities, deciding which charities to support and coming up with ideas for fundraising, apportion responsibilities and planning and organising events. Teaching your child about charity at home is important because, from an early age, children need to learn compassion and consideration for others. Most children can easily relate to other children of their own age and their problems, so becoming involved in programs that help children is the best way to start teaching your child about giving. No matter how young your child is they can participate in giving to charity. Encourage your child to choose a toy that they no longer use that could be given to a less well off child or help you to pick out items at the supermarket that could be donated. 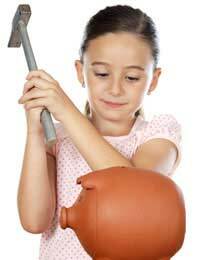 As your child gets older you may want to encourage them to donate a portion of their allowance or savings to charity. If you prioritise giving to others, then your children will learn from your example and will willingly give to others too. If you cannot afford to give financially maybe you and your child could get involved in a local fundraiser or even organise one yourselves. You could donate the proceeds to a favourite local charity. If your child is young it is important to keep it simple, maybe selling small items that, with adult supervision, they can keep track of themselves. Older children should be able to come up with great fundraising ideas of their own. Parents have an all-important role in providing support for their children and instilling a lifelong attitude of giving to others. Young people need reinforcement and encouragement to become involved and make a difference to the world around them. These are crucial factors of Citizenship. The school cannot work on this alone, but in partnership with other people whom the students come in contact with on a day-to-day basis and who assist in informing their thinking, attitudes and action. No matter how big or small the effort, instilling a sense of charity will teach your child to care about others and to give something back to the community.